Having a strategic plan when customers fall do will determine the level of success of the amount of money that will be recovered. When a small business in Colorado extends credit for services or products to customers who then fail to pay the invoice on time, hiring a collection agency in Colorado can help collect the money owed. Once a business realizes the customer is not going to pay then finding a collection agency to help can be challenging. Below we have included tips to on how to hire the best collection agency for small business. FDCPA– FDCPA is a federal law that limits the behavior and actions of third-party debt collectors who are attempting to collect debts on behalf of another person or entity. Confirm that the collection agencies in Colorado you speak to is common with the laws covered by FDCPA. Recovering Success– The main goal for a small business hiring a collection agency should be to recover as much money as possible. Most collection agencies will provide past collection results to prepare potential clients with realistic expectations before hiring them. Saving Time– Small businesses who are spending time chasing after past due customers will see a drop in productivity. Colorado collection agencies allow small business employees to get back to what they do best while the agency collects money. Tools– Collection agencies have invested in debt collection tools that assist them in collections that the average business will not have access to. This can help the small business obtain better results than they would ever be able to obtain due to lack of tools and resources at the disposal. If a debt collection agency in Colorado checks off the above boxes then they should be expected to represent the small business well while attempting to collect the debt. They are many benefits to hiring a local debt collection agency in Colorado to collect debt for a small business. The ability to meet face to face and create a trusting relationship with the agency is important. The collection agency could possibly be handling thousands of dollars and interacting with business customers which could affect a company’s reputation. Local collection agencies that employee debt collectors who are familiar with the current regional economy can provide the best results. The local collectors can relate better to the debtors and are able to open up lines of communications which is the first step in collecting a debt successfully. For example, an Eye Doctor in Denver has past due customers and need help recovering the money owed. They speak to several national collection agencies but end up hiring a collection agency in Denver. Out of all of the debt collection agencies in Denver Co, this particular collection agency is known as an expert Optometrist collection agency. The Denver collection agency is able to help the Eye Doctor recover more than half of the money owed and represent the company in a professional manner. Are you wondering how much a collection agency in Denver Colorado charges? Collection agencies will collect on what is called a contingency rate. This simply means the collection agency will only get paid a percentage of the money successfully collected. If the debt collection agency is unable to collect any money, the business owes zero. Let’s look at an example of how a contingency rate works. A Landscaping Company based in Colorado Springs has 10 customers past due for a total of $4,000. The company hires a collection agency in Colorado Springs that has experience in Landscape and Lawn Debt Collection. The Colorado Springs collection agency offers a contingency rate of 30% and the Landscaping Company accepts. The collection agency works diligently for several weeks and in total collects for 6 customers for a total of $2,600. The collection agency will send the Landscape Company a total of $1,820 while the agency keeps the remaining $780. Both companies are happy and the agency will continue to collect from the other debtors who have yet to pay! If you are frustrated trying to find a collection agency for your small business, CollectionAgencyMatch can assist you! 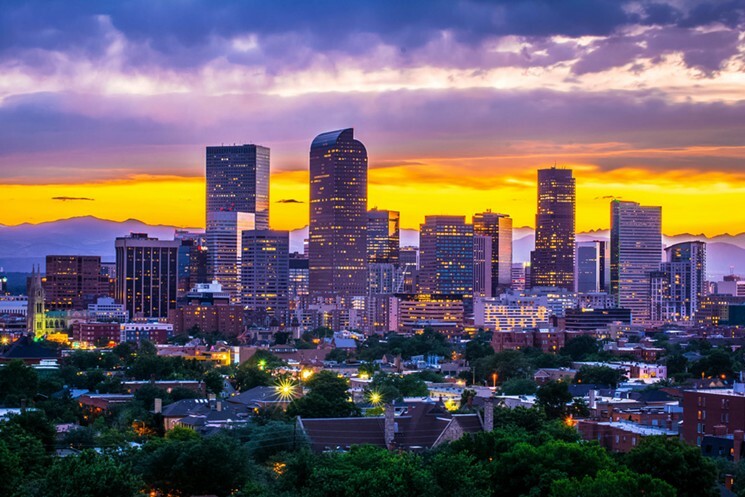 We can help match you with a collection agency no matter if you are looking for Denver collection agencies or if you want to compare a list of licensed collection agencies in Colorado.